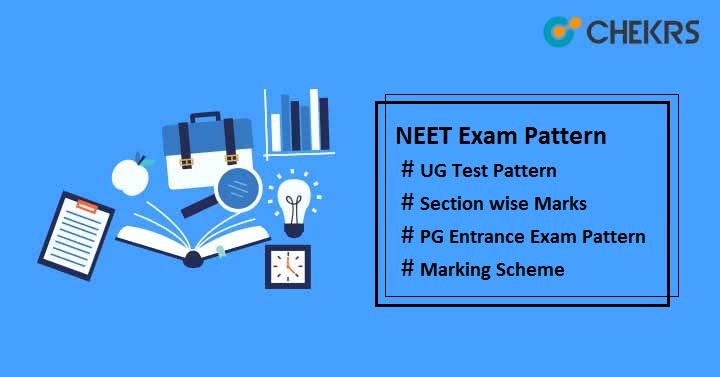 NEET Exam Pattern 2019: Candidates who want to pursue MBBS or BDS from various government or private medical colleges must apply for medical entrance examination NEET exam. NEET PG is administrated by National Board of Examination (NBE) every year to offers admission to MD/MS and PG Diploma in government & private medical colleges across India. 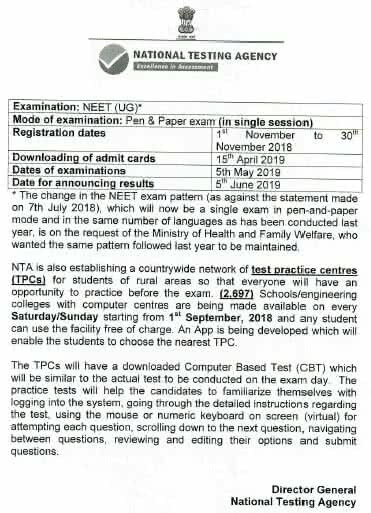 There is no change in NEET Syllabus or Exam Pattern. Candidates must check the exam pattern before appearing for the exam to avoid the confusion related to paper & exam. The HRD Ministry had said that the newly formed NTA will conduct NEET twice a year and the exam will be computer-based but on the request of the Ministry of Health and Family Welfare, the same pattern followed last year to be continued. Medical Entrance Exam NEET will be held in Once in a year. Candidates must check the Subject wise Weightage for preparing well in the exam. With the help of this, you will get to know which area needs more time to study, which area is important as per exam perspective, which subject carries more weightage etc. Candidates who are looking for exam stuff to and fro need not to worry because we have provided all exam study materials here. You can check NEET Previous Year Papers to analyze your knowledge & strengthen your exam preparation. Last year Papers will help you to improve your speed & accuracy.